The results of the “Design An NFL Jersey” contest are in, the polls are closed, and we have our winner. Congratulations to Brad for his fantastic Seattle Seahawks concept. I tried to combine their old and current uniforms but also add some new elements. I used their current logo with their old colours but added a green stripe in the middle so that it wraps around to forms three stripes on the sleeves. I also used the old script. Uni Watch Pollster, James Huening has also tabulated the results in pie chart and bar graph formats. Even if we are to eliminate those who voted for “None of the Above,” the results still show a landslide: bar graph and pie chart. Thanks to everyone who participated. And now, a few words from the Alain Nana-Sinkham, who will be creating a custom made jersey for Brad, from Classic Old School. Thanks to all of the designers who entered the contest. I was impressed by your abilty and imagination. I enjoyed reading the descriptions, as well as all the feedback from the readers about what you liked and didn’t like. I’m proud to be a card-carrying member of this community. We’ll keep you posted as we turn the winning entry into reality. And for Classic Old School’s final gesture of thanks to Uni Watch and the contest participants, I’d like to offer each of you 25 percent off the custom item of your choice. Wow, thanks Alain! So, to ALL who participated in the “Design-An-NFL-Jersey” contest (all 80+ of you), if you’d like a jersey — either the one you designed OR any other custom design — Classic Old School will make it a reality. That’s a sweet discount and you can guarantee you won’t be disappointed. Thanks again to everyone who participated, and one last BIG CONGRATULATIONS to our winner, Brad McPelican. Fidel Castro is often linked to baseball. While his try out with the Washington Senators/NY Yankees is an urban legend and we might doubt Lefty Locklin’s story about Castro at the 1959 Junior World Series, there’s no question that Castro loves baseball. One event they caught was an exhibition between Castro’s barnstorming team Los Barbudos (The Bearded Ones) and the Cuban National Police team held before an International League game between the local Havana Sugar Kings and the visiting Rochester Red Wings. You can read about it here. Castro in his Barbudos uni. Fidel Castro on the mound surrounded by his Los Barbudos team. Was Fidel Castro the inspiration for Ricky “Wild Thing” Vaughn? Comadante Camilo Cienfuegos, The Hero of Yaguajay, was chosen to pitch for the Police team, but he would not play against Castro. Instead he caught for Los Barbudos though he needed some help with his equipment. Raul Castro, Fidel’s brother, apparently had no game (and a minimal beard) and so watched from the stands. Something to add to your collection of trivial knowledge: Castro wore 19 and Cienfuegos wore 10. Opposing flannels for the exhibition. Probably thanks to some preferential umpiring, Castro records a strike out. Even revolutionaries sign autographs. Is signing autographs for the umpires a conflict of interest? This photo probably didn’t make it into the Coca-Cola promotion files. Thanks Lance! Always great stuff to be found in the Squiddie Files. Guess The Game From The Scoreboard: An oldie but a goodie today, folks. All the clues are right there on the scoreboard itself. Location should be obvious, but the rest may take some detetive work. Ready? Guess The Game From The Scoreboard. Date, location and final score, please, and be sure to link to your answer. And, as always, if you enjoy the game, please send me some new scoreboards! Drop me a line. Thanks! Bulls & Celtics: Really like the alternate jerseys with the city name, so I put those wordmarks on the regular road sets. Hornets: Hate the yellow name & numbers, so I swapped ’em for white. Sixers (Home/Road): Just added an outline around the name & numbers. I think they look a lot better. Kings (Home/Road): Swapped the wordmarks from the home & road unis, it makes more sense to have the city name on the road jerseys. Here is my idea for how the Texas Rangers jerseys should look. What do you think? I love the Texas flag with the T over it, so I put it on the front for sleeveless jerseys and on the cap for the colored jerseys. I went a little old school with the old script “Rangers’ across the cream and red jerseys. I also tweaked the logo a little by putting a star in the middle to make it look more like a badge. I put that logo on the sleeve of the jerseys as well. It’s no secret that nobody cares much for the San Diego Padres’ unusual “sand”-colored” road uniform. They hardly ever wear the sand jersey, the starting pitcher opting for the navy alternate jersey most of the time. And you rarely see fans wearing them either. While I personally can deal with the sand (I actually think it’s more interesting than the intentional “dinge” of traditional road greys), but the oddball San Diego logo, which doesn’t really relate to anything else in the entire uniform or logo identity, really ruins the whole thing for me, and apparently most everyone else. Most teams use the same font for the team name and city name on the home and away jerseys, so I thought I’d give it a try by creating a San Diego logo that matches the well-known “Padres” word mark. For the accent color, I used the oft-ignored Sky Blue color in their “home plate” team logo. Recently, with the news on UniWatch about the return of road blues, I thought that a road blue might be a perfect fit for the Padres, again matching their sky blue color. The new San Diego word mark has a metallic gold drop. And just to come full circle, maybe if the Padres went the way of the road blue, then maybe that weird “SanDiegO” logo might look OK. After all, the serifs on the S and D match the SD hat logo. I feel that any of these changes would fit in with the team imagery and be a vast improvement. And while I’m at it, the Padres’ [in]famous Camo alternates (worn for Sunday afternoon games) are, in my opinion, a good idea. But they are horribly executed, using a strange forest/sand non-standard camo pattern, and then confusing everyone with a too-bright green Padres logo and green hats. AND green batting helmets. AND green undershirts. But they don’t spring for the matching pants — they wear their sand ”˜away’ pants with the blue stripe down the leg (which is the only blue on the whole uni). If somebody did some actual research and used a current and correct camo pattern, it could look a lot better. And ditch the green logos for some black and sand highlights. I’m not the world expert on military uniforms, but it seems like it would pay more respect to the people you’re trying to honor by creating a proper and fitting uniform. And for heaven’s sake, matching pants are a must! Interesting sets today for sure. See you next time on the Tweak Show. Happy Birthday, Paul. I’ll be wearing my official Uni Watch stirrups in your honor today. As a gift, here’s Whitney Young vs. Simeon, two Chicago High Schools, in yesterday’s Illinois Class 4A state championship game. Dunno if those are true tiled stripes on Young (Marcus “I ain’t wearin’ no stinkin’ three stripes at UCF” Jordan’s alma mater), but I like. Very nice job on that Tx Rangers uni – they should start the mfg. today. Also that Padres tweak is pretty good too -esp. that camo. Right or wrong, for those of us who experienced the Cuban Missile Showdown/Bay of Pigs Era, Castro was a bogeyman. Your “current and correct” camouflage pattern is “incorrect”. MARPAT runs horizontally, not vertically. Not that it matters much, but can ID three of the four Millers in the lead photo here. l to r, Gene March, Vito Valentinetti and Lu Clinton. Totally going up on the guy to far right. Chuck Schilling, maybe? [quote comment=”382429″]Not that it matters much, but can ID three of the four Millers in the lead photo here. Is there any chance that, unbeknownst to us muggles, UNI is really Hogwarts? Hope the party goes well. Wish I could be there. Good stuff from Clint. I’ve thought the current sleeve patch for the Pads and the road wordmark both look more suited to a package of laundry detergent than to a baseball uni. If you would have waited until April 1st to reveal the winner,than that Seahawks uni could be reality. Happy Birthday, Paul! Thanks for this whole UniWatch thing. FormerDirtDart: Thanks for pointing that out. As I went on to state, I’m not the expert in military camouflage and didn’t realize that the direction of the swatch I downloaded was the incorrect orientation. I just know enough to know that the Padres current camo jersey is just ridiculous, and my concept is to hopefully point them in the right direction. 1) Love the article on black and white photos. I’d like to see more of those. This http://www.gstatic.com/hostedimg/372dc8280b8e0c53_large is absolutely gorgeous. 2) Look! http://www.sportsecyclopedia.com/nfl/philly/VanBurenPhl.jpg side piping/stripes aren’t so new after all. 4) The golf article reminded me of why I’m not a big fan of that and auto racing. Give everyone the same clubs and cars and quit futzing around with trying to gain an advantage, then I’ll consider them real sports. The major sports all have a standard isssue ball (or puck) – the same should go for golf and racing equipment. Congrats to Brad McPelican. Lookin’ forward to seeing the jersey from classic old school. Happy Birthday…I’m certain that you will be partaking in some sort of feast today…!!! 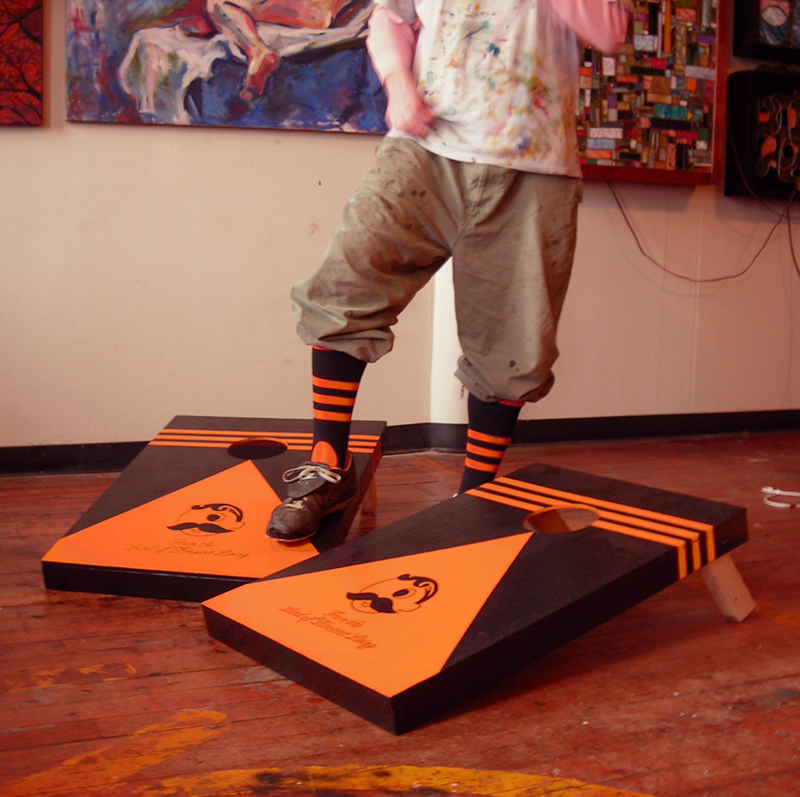 Have a great balance to your weekend everybody…enjoy the games…!!! so…baseball players should all use only one size (length) and weight bat? every football player should wear the same helmet and shoulder pads? every basketball player should wear the same sneaker? every hockey player should use the same make and model stick? Congrats to Mr. McPelican for a deserving contest winner. As for today’s tweaks, my favorite was the Rangers unis. Great work, and thanks to all the others as well. Wow. http://www.gstatic.com/hostedimg/908c6e676690f2c2_large Paul, you haven’t aged in all these years, have you? Nice suit. Happy Birthday Paul. Thanks for this fantastic blog. I look forward to reading it everyday! No, I’m saying they all use the same ball or puck. I didn’t mention uniforms. Of course the clothing (including shoes) doesn’t have to be the same. And yes, the clubs, sticks, bats, etc. need to be sized properly. With golf and racing, it just seems that more emphasis is placed on the equipment. I’m saying give everyone the same car and issue out the same (again, sized to fit) set of clubs. Then let’s see who’s the best. First, Happy Birthday! Next, Congrats to Brad. I can’t wait to see the finished product. [quote comment=”382445″]No, I’m saying they all use the same ball or puck. I didn’t mention uniforms. Of course the clothing (including shoes) doesn’t have to be the same. And yes, the clubs, sticks, bats, etc. need to be sized properly. I can’t believe I’ve been reading all this time and never posted before. Since the Stirrup Brain Trust hangs out here, I figured I’d ask this here. For a visual reference, what would the sizes be in these pictures? [quote comment=”382449″]I can’t believe I’ve been reading all this time and never posted before. At a quick glance, I’d say A and B are 7s and C is a 5. I’m thinking back to when I played baseball and softball. Sometimes I brought my own stuff, other times I used what was available at the game. Whatever, I just did the best I could with what was offered. [quote comment=”382448″][quote comment=”382445″]No, I’m saying they all use the same ball or puck. I didn’t mention uniforms. Of course the clothing (including shoes) doesn’t have to be the same. And yes, the clubs, sticks, bats, etc. need to be sized properly. I think you can call for golf club standardization, at least in the heads of the clubs, which was the issue at hand in that article. Either make them all the same… or let them use whatever the hell they want. The idea of banning one particular club style because it just happens to actually be more effective is stupid. Isn’t part of the strategy of the game having a set of clubs that plays into your strengths? Absolutely love the Padre uniform tweaks, Clint. Growing up, the friar swinging the bat logo was one of my favorites – http://www.sportslogos.net/images/logos/54/73/full/dyv01dqafhwd5p5cqaftsatrz.gif . I feel like the Pads have gone away with that and aren’t really the Friars anymore, they’re the San Diego Beaches or some crap like that. Have you happen to create any Chargers uni tweaks? And remember, Aries IS the First Sign!! As a long time CHawks fan, I like the nice sleeve stripes+logo and, wait wait……. players are asking me what a sleeve is. Oops. Also as a new Sounders fan I should point out that the nationally and perhaps rationally unpopular Rave Green is popular here, so those of you in the near to each other states may be seeing more of the neon hue than you care to. Also love the Sand and camo San Diego tweaks, the blue not so much. Sand is a great color, I wish the M’s would adopt the similar cream white for their home wear like the Pilots of old. The new version — also corrected in the main article. I found the pics of Castro and the Barbudos fascinating- I hadn’t heard the story before today. Reading the link to the story, I was intrigued by the fact Castro’s exhibition took place before an International League game between the Havana Sugar Kings and the Rochester Red Wings. Imagine being an American minor leaguer playing on the Red Wings, and watching the antics of folks that would play a dramatic political role, as our advisories, in the coming years. Then, to make the experience even more bizarre, a player from each team received a gunshot wound the following night during a celebration for the revolution. Of course, I had to find out how long this cultural dichotomy went on. The Havana Sugar Kings played out the rest of the season, and into the 1960 season, before being relocated to Jersey City. Apparently nationalizing all American companies was a deal killer. However, in 59, the Sugar Kings ended up in 3rd place in the IL, and went on to win the League title in post season play. They also won the series against the winners of the American Association, the Minneapolis Millers. And another thing, attendance in Jersey City sucked so bad that the team folded at the end of the 1960 season. Bruins wearing the yellow Winter Classic special alternate jerseys, without the Fenway patch. I think we can now unequivocally call this a not-supposed-to-be-allowed fourth jersey, not just a one-off. [quote comment=”382426″]Happy Birthday, Paul. I’ll be wearing my official Uni Watch stirrups in your honor today. Orange uni looks particularly good, there’s looks to be more people in attendance than there is likely to be at tonight’s CIAU Finals. First, MARPAT (the pattern you selected as an example) is a trademarked pattern, meaning that the Padres could not use it without the Marine Corps’ authorization. 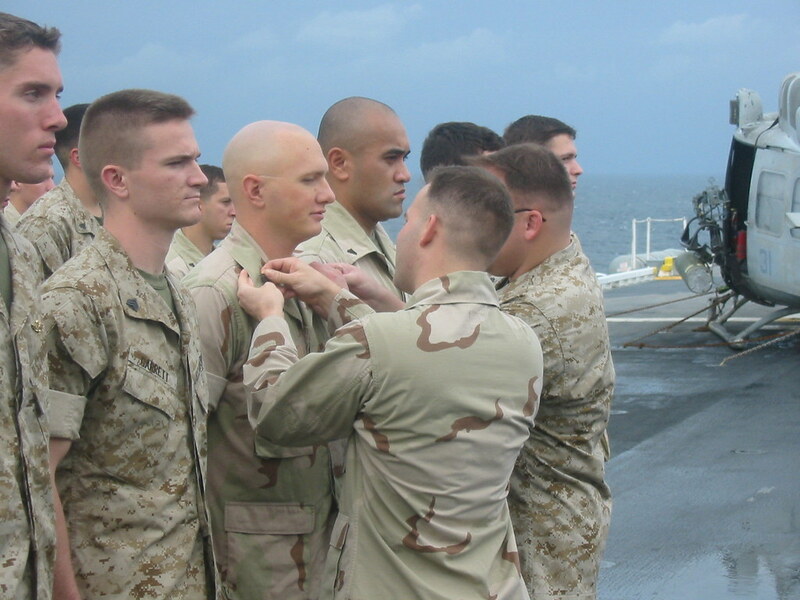 We Marines are pretty picky about who gets to wear our uniforms, and using one of the many MARPAT knock-offs would probably going to get the Padres in trouble. I don’t know if the Navy’s NWU pattern or the Army’s ACU pattern is likewise trademarked, but I would assume so. 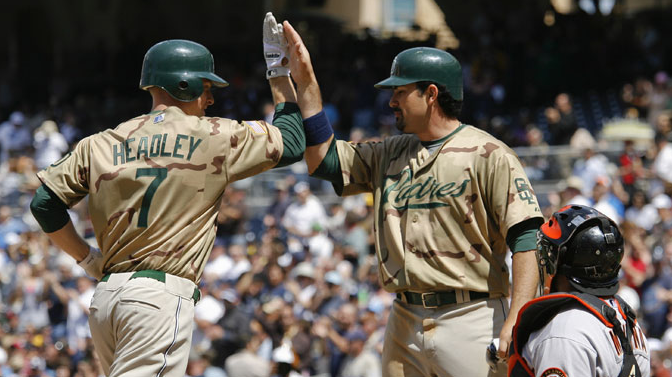 Secondly, the Padres’ use of a generic camo pattern means that their tribute to the military isn’t service-specific. When I was stationed in the San Diego area I always attended Military Opening Day, and I never thought the camo unis were disrespectful because they didn’t use the same camo pattern I wore at work. If they were to wear a specific service’s camo – the Corps’ MARPAT, say – I think that would actually be more disrespectful to fans from other branches of the military, particularly the Navy since San Diego’s a huge Navy town as well. Better to keep it somewhat generic in order not to imply favoritism. All of that said, the Padres do need to make that uni consistent. I thought they looked best when they used the desert tri-color top; the woodland tiger stripe they wore one year just didn’t look right. I’ve seen members of all branches wear the tri-colors, and it’s a pretty sharp-looking pattern, so I’d suggest the Padres continue to use that for their camo alternates. [quote comment=”382451″][quote comment=”382449″]I can’t believe I’ve been reading all this time and never posted before. i think james nailed it. but i am not convinced that the brave isn’t a 5 as well. and i can assure you of this, it really depends on which of the people’s workers gets the gig on the assembly line at tck, there can be deviation. For those unfamiliar with the term \”desert tri-colors,\” the Marines in the center of the frame are wearing desert tri-colors, while the others are wearing the newer MARPAT deserts. This is the Padres\’ fairly faithful execution of the tri-color pattern, which all US servicemembers formerly wore in desert environments. 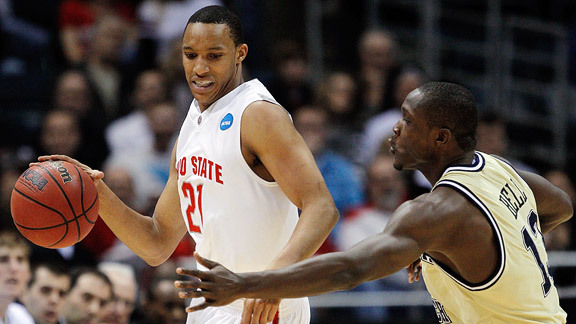 I also want to agree with everyone who’s posted that generic NCAA floors detract from the tournament. I’m surprised at how much of the fun it’s taken out of the opening weekend for me. That’s what I meant, The Jeff – standard club heads, not so much the length of the clubs. Thanks. While there may be several different brands of baseball bats, they all look the same, eh? Should be the same with golf. Lengths and grips can be adjusted according to the comfort of the player, but otherwise the playing field is level. Oh, and just as in baseball, the officials should supply the balls at a golf tourney. Hey, whatever happened to the guy who made some of us UW readers into players on his Madden football team? I’m curious to see how well we did. What would that Seahawk jersey look like at home? Would the blue switch out with the white? The old uni maintained the same stripe pattern with white trim. I don’t think that would be a good idea with the three stripe pattern. I don’t know how I missed that North Face comment yesterday. My apologies. In my defense, I have the attention span of an 8 year old. Happy Birthday Paul! Cracking open a Sierra Nevada Stout as we speak: HERES TO YA! If you standardize clubs AND balls, add that to the course everybody plays at once, and you don’t have a “best-performing golfer” tournament, you have a coronation for the one player who lucks out with the correct course/ball/club combination while some golfers might as well be eliminated before play starts. so then, you don’t think the whole tour should be playing nike one tours? irons: nike VR TW blades (2-PW)…all irons are 1 degree upright, have D4 swingweight, standard size tour velvet grips and true temper dynamic gold X-100 shafts. i mean, that sounds fair, right? As a Padre fan for over 30 years, I like the sand colored uniforms, although the tweeks are also nice. The blue alternates don’t do anything for me, but whatever. 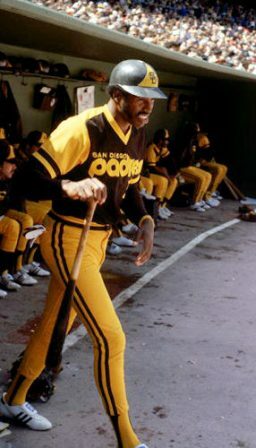 However, the Padres will be wearing throw back uniforms for every Thursday home game (1984 once, the rest late 70’s, I think). And there is huge local support for a return to the old color scheme. The new ownership group has banished the ‘P’ initial in favor of the interlocking SD, since they want to brand San Diego as well as the Padres. They have also created a military logo (http://padres.mlblogs.com/military.logo.2010.JPG) which is available on hats, shirts, sweatshirts, etc. I have seen it on quite a few people even though it’s only been on sale since last month. But more importantly, I think the new ownership may well consider returning to some variation on the old colors when they redo the uniforms. They seem really interested in what the fans want at the Park and the fans do support the old colors. 1. I wish the Padres would go all the way back to their original 1969 uniforms. 2. I always feel uncomfortable when civilians where anything that emulates military wear–I just feel that those who haven’t actually served in the military shouldn’t wear the gear–it feels disrespectful to me. Add me to the ‘yay’ column for the Fathers going back to the yellow/brown color scheme. Always thought the 90’s addition of navy blue took away their uniqueness. Yellow is underused in MLB: Seattle abandoned it in the 90’s too. I was really hoping the Rays wouldn’t miss the chance to rebrand in a classic scheme. Never understood why the Pirates introduced red after so many years of yellow identity. I still think if you’re going to go throwback, you’ve gotta go for unique as well (if you’re not going all the way back to vintage.) 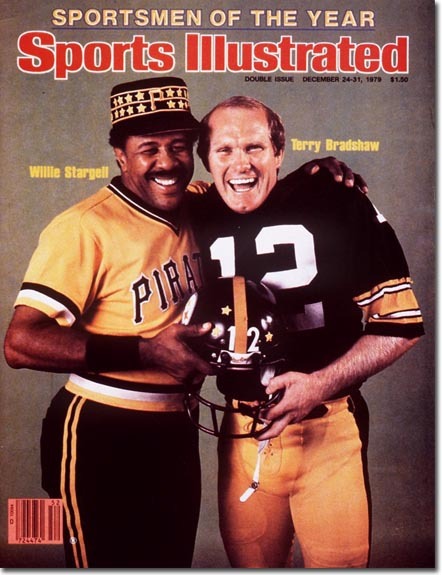 The Winfield and Pops unis define that era as much as the two logos. Happy Birthday Paul! Hope you had a good one! And thank you for Uni Watch! [quote comment=”382479″]1. I wish the Padres would go all the way back to their original 1969 uniforms. ABSOLUTELY. It would be awesome if they could go back to those. Of course, it would be great if all the players wore the stirrups too. I’m gonna make a bold prediction. They ditch the black third jersey and next year, the Winter Classic uni is their official third. When I was at the gym today, one of the TVs was tuned to a PBA tour event (the Go RVing Match Play Championship) and one of the bowlers was wearing a great Ohio flag-themed shirt. I didn’t see a clear enough shot of it to be able tell if it was a true bowling shirt or more of a golf-type shirt, but think this meets this. [quote comment=”382484″]one of the bowlers was wearing a great Ohio flag-themed shirt. [quote comment=”382465″][quote comment=”382451″][quote comment=”382449″]I can’t believe I’ve been reading all this time and never posted before. Here is the chart I downloaded from Twin City Knitting a long time ago (took out all the stripes at the time to avoid things that could be visually misleading. Okla. St…4″ (and the right one is on backwards, or has slouched badly). Well, I’d tend to agree with you when it comes to miniature golf. Then I want the yellow or the blue ball. On the real course, I just grab the first one out of the bag. Between the flea market balls or the abandoned ones we find out of bounds, I never know what I’m getting. [quote comment=”382485″][quote comment=”382484″]one of the bowlers was wearing a great Ohio flag-themed shirt. Ohio themed? I’d rather wear a PA, VA or Alaska themed shirt. [quote comment=”382486″][quote comment=”382465″][quote comment=”382451″][quote comment=”382449″]I can’t believe I’ve been reading all this time and never posted before. Now that I’ve had a chance to look at them more closely, I still stand by my original statement. The OSU ones could be 4s, though. And I’d say the right one is almost certainly on backwards. 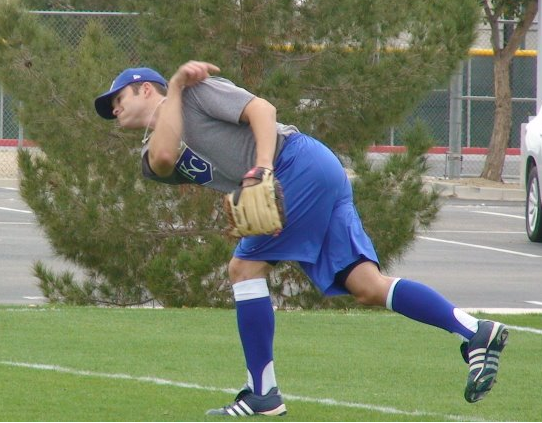 But I say no way the Royals socks are 5s. They’d have to be stretched quite a bit to show that much sani but they aren’t even pulled up all that high. At any rate, four responses and four different opinions. Does that clear things up for you, Andrew? To serious players, it matters and make a difference. Same with bowling. Most of us grab a ball off a rack and call it a day. Real bowlers have multiple balls with different weight distributions and stiffnesses to play different wax patterns. Yes, they do the floors differently from tournament to tournament, and no it’s not an even sheet of wax. There’s a pattern to it, and it takes a good bit of time to prepare. To us hacks, it doesn’t matter. To the pros, selecting a ball and clubs to play to their strengths is quite the task. Sorry I haven’t jumped in the mix Phil. Looks like yesterday’s Ping Eye II lead is still getting comments. Guess I ought to throw my pony in the race. Well, I played the eye II back in college. Kept the sandy around for a number of years before switching to the Cleveland. The square grooves certainly help back a ball up or stop the ball tight on a slick bent grass green. If you are in the rough, yeah you might get better wood on the ball but you still have to hit it straight. So does it give an advantage, only if the player has confidence that it does. The players are too good out there to be chastising Phil (Mickelson, not Hecken) for playing by the rules. The rules may be dumb, but they are the rules. You think Ken Linseman worried about that in hockey? Gaylord Perry in Baseball? Jack Tatum in football? In 2010 Golf is simply another sport. It has its nuiances but it is big time money. Scott McCarron was being a total baby for getting on Phil. Shut up and play. He could have played the same club too – although he got Phil to change. As for the grooves, that is hardly technology. Technology is a new kevlar boron titanium graphite plultonium perimeter weighted torque tested gummy shaft. Square grooves are hardly that. I say make it all legal. As for standardizing equipment – SCREW THAT! That’s part of the game – finding the right bat, stick, or club. Hell, blaming Ping every time I miss a three footer 8 inches to the right and then blaming Calloway for the same thing after I switch is what I want the right to do. The companies also want the same thing, that is me going out and buying another putter. Standardizing equipment would be fought by every player on the tour. Can Ben Crenshaw not putt with his old Wilson 8802? Imagine taking away Jack’s huge putter, I think it was a MacGregor, he won the 86 Masters with. Yeah, I bought one shortly after, I think it’s still in the basement somewhere. The equipment is part of the player. Part of his uniform, individuality, personality. There are enough robots on tour today, let’s leave some hint of character in the game. Should there be limitations placed on equiment, sure. No Robin Hood balls. No obvious moon metals that make the ball go 200% further. However, if people are hitting it further, and they are, courses need to plant more trees. Nothing harder than hitting a fairway 15 yards wide. For some of the same reasons most of us tend to dislike Nike’s takeover, let’s keep the standardized clones away and the human element in as long as we can. Wow, that was waaaaay too long. so what you’re saying is phil is better than ben, yes? I am not online for one day, and a whole golf discussion break out. Geeze. There are specific rules and regulations for clubs and balls in golf. They are there for a reason. There is no way that the USGA, or the R&A, can make rules to regulate exact specifications on equiptment or balls. Everyone is different. Everyone has a different body type, height, weight, swing speed, angle the club impacts the ball, waaaaaaay too many variables. As stated before, there are many regulations for clubs already. Length of club, weight of club, coefficient of restitution, grip size, material, and so on. Players HAVE to have certain customization. The biggest mistake golfers make is playing clubs right off the rack. There is one golfer on the PGA Tour (Can’t think of who it is right now) who plays all of his clubs “standard”. 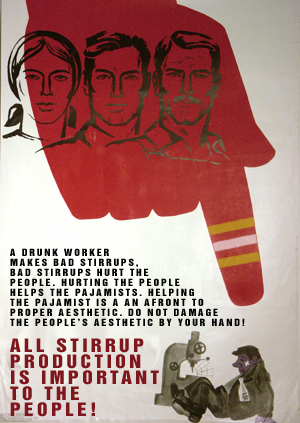 No one is the same, so why would play clubs at the stock setting? Even Sunday hacks should get their clubs customized. It doesn’t cost much, and will absolutely make you a better golfer. Having said that, there is no way, and no how one can regulate specifics for a golfer, let alone a PGA Tour golfer. This ban on the Ping Eye 2 irons is ONLY for the Pros. Non-pros will not be affected for many years. And by that time, something totally different will be out. The Ping’s just gave too much of an advantage out of the rough. It rewarded less accurate drives off the tee. Pros would start gripping it and ripping it because they knew they could get out of the rough easier. Again, the to the average person, it would still be near impossible to get out of that rough, but to the pros, it was easier. I like the regulation of these grooves for Pros. On the flip side of the coin, I don’t know why you just can’t make it legal for everyone instead of banning it altogether. But, one way or another, make it universal…which they have. That’s all very good info- stuff I didn’t realize. I guess it makes more sense why they use what they use. I definitely see your point about respect. Thanks for the insight. I guess the one thing we all agree on is to match those darn pants! [quote comment=\”382455\”]Absolutely love the Padre uniform tweaks, Clint. Growing up, the friar swinging the bat logo was one of my favorites – http://www.sportslogos.net/images/logos/54/73/full/dyv01dqafhwd5p5cqaftsatrz.gif . I feel like the Pads have gone away with that and aren\’t really the Friars anymore, they\’re the San Diego Beaches or some crap like that. As a matter of fact, I do. They were posted in the NFL Jersey Tweak contest on Uniwatch. I think the easiest way to find that is to search this site (on the right bar) for my name. [quote comment=”382497″][quote comment=\”382455\”]Absolutely love the Padre uniform tweaks, Clint. Growing up, the friar swinging the bat logo was one of my favorites – http://www.sportslogos.net/images/logos/54/73/full/dyv01dqafhwd5p5cqaftsatrz.gif . I feel like the Pads have gone away with that and aren\’t really the Friars anymore, they\’re the San Diego Beaches or some crap like that. Mickelson better than Crenshaw? Yes. Hecken better than Traxel? Absolutely. Guess the game: my guess.